I’ve been a busy little house beaver these days planning home updates and painting everything I can get my hands on! 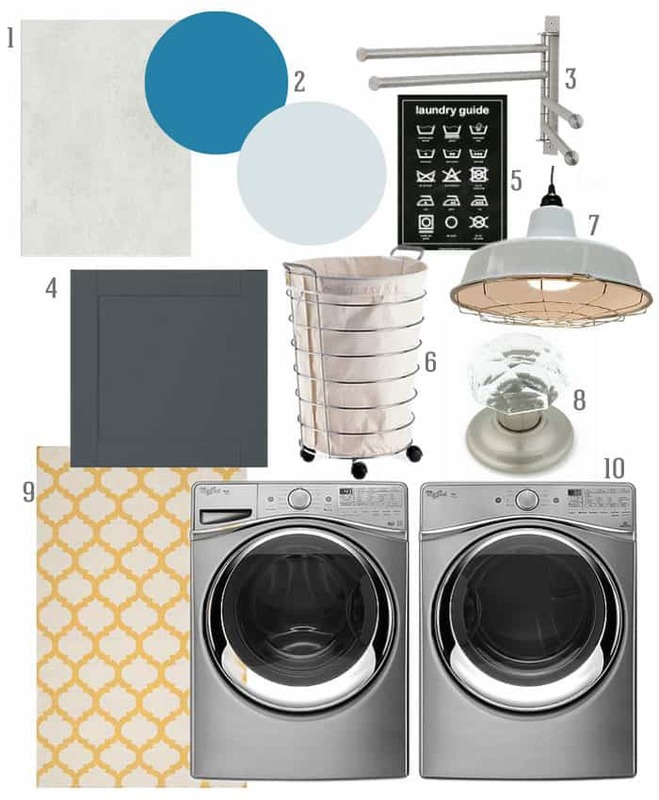 Next up is a Laundry Room Makeover. Like most spaces in our home, they are finished to move in state, but nothing more, livable but not necessarily functional or pretty. Yup, looks just as bad in a photo as in real life (hangs head in shame), maybe even a bit better because you don’t see the behind the scene mass mayhem of our vicious laundry cycle. The major problem here is lack of space. 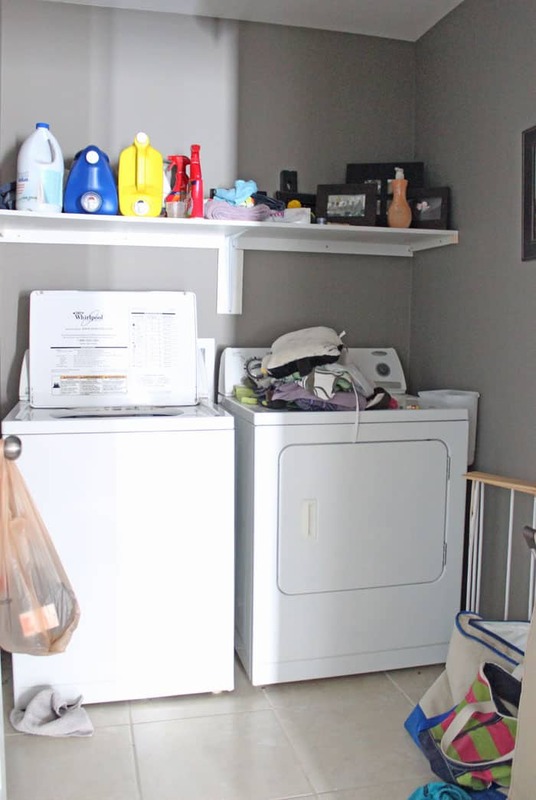 There is nowhere to actually do the laundry in the laundry room, washing and drying is all that goes on in this tiny room. Once the clothes are dried then they get heaped on our bed, and typically I walk away and forget that I did that (because you may as well wait for it to be all washed and dried, right?). Bedtime rolls around (usually into the wee hours) and the kids are sleeping so I can’t put it away, so it gets heaped into a basket. A new day brings new laundry and the laundry insanity continues. In the days ahead we plan to strip and paint the laundry room using PPG Voice of Color Blue Paisley Color of the year . Install upper cabinets and new shelving from The Home Depot. Adding a countertop surface to a new Whirlpool® Duet® laundry pair, will solve a lot of space issues as we will be able to fold clothes in the laundry room. New LED lighting will provide this windowless space with adequate light. I’m so excited to be moving from a top load to front load and giving this room some much needed space. Tell me- do you keep on top of your laundry? Follow Virginia | Fynes Designs’s board Laundry Room on Pinterest. Oh, trust me, you are not alone!! Your laundry pattern sounds just like mine!! If only I could change!! But I won’t! 😉 Loving the Blue Paisley!! I love that blue! I can’t wait to see how this turns out, V. Everything you touch turns to lovely. I know this will be the same! I can tell this is going to be amazing!